Multinox Inc is one of the leading distributors, traders & exporters of Bright bars, pipes & tubes, components & fasteners with more than four decades of experience in the steel industry. The family-owned business of Multinox Group has grown from traders of Metal products to four state-of-art storage units with modern infrastructure and serving clients globally. Multinox INC and its sister concerns have earned many export excellence awards, performance certificates and government of India recognized Export House Status. Multinox INC specializes in Stainless Steel Precision Components. 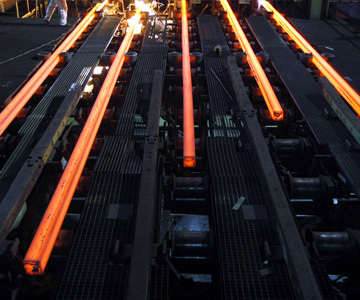 We use high-quality raw material from our own plant of Bright bars and wires. With latest modern infrastructure and technologies in place, Multinox is capable of providing high-quality mission-critical precise components quickly and at best competitive pricing. Quality also remains a top priority at Multinox INC. As we continue to grow and expand, we also strive to maintain compliance with the highest degree of quality & business standards. All of our employees understand that on-time delivery and fulfillment of a product with zero defects is necessary to guarantee a successful long-term business relationship with our customers. We would like to thank you for visiting our website. We would appreciate your esteemed enquiries and look forward to being trusted vendor of your esteemed organization. You can reach us here.